2013: The view from Tower 42 is one of my most memorable urban landscape encounters. 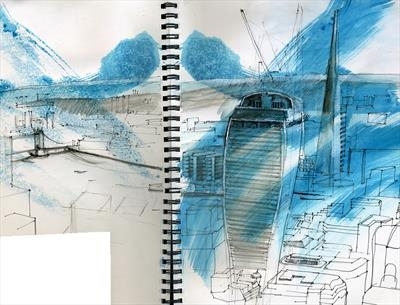 Six hundred feet above London, you’re up there in the gods with the metropolis at your feet, and suddenly the A3 sketchbook in your lap doesn’t seem big enough. The change in perspective changes you. And as you try to capture what you see, you’re reminded once again that there is more to drawing than just the marks you make on a page.